Have you ever wondered who the Solider, Marine, Sailor or Airman really was on that named medal, uniform grouping, document or other item you have? Where was he from? When did he serve? What was his Military Occupational Specialty (MOS)? 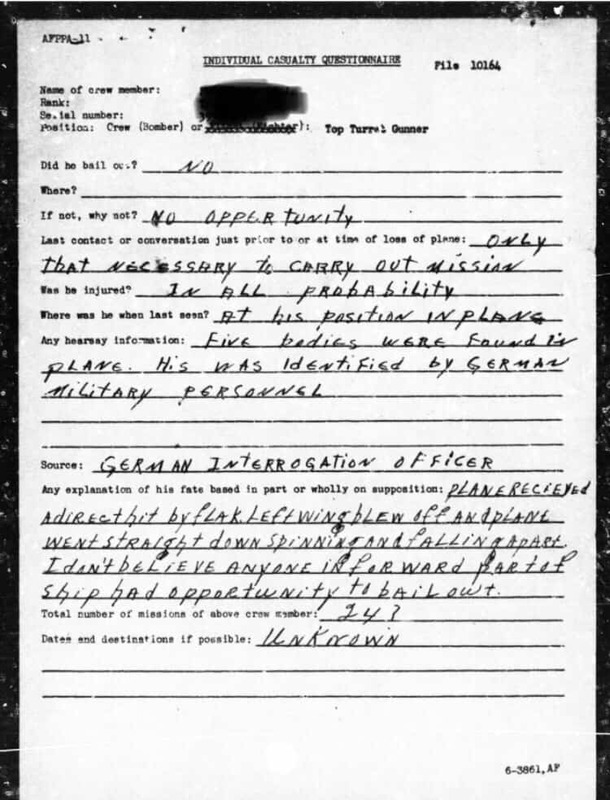 We recently researched a named Purple Heart and documented that was posthumously awarded to a family of a ball turret gunner who was killed in Europe in 1944 when his B17 was shot down. Amongst other documents, we located the Air Casualty Report that documented the fact that a captured German Officer identified the five bodies he found in the downed airplane. We also just researched an named Purple Heart from WW1 and found, amongst other things, the ships manifest showing when the Marine shipped out and when he returned home, plus USMC Muster Rolls documenting his service as a Enlisted Man before WW1, his rise to First Sergeant and his battlefield promotion to Lt. in France in 1918. 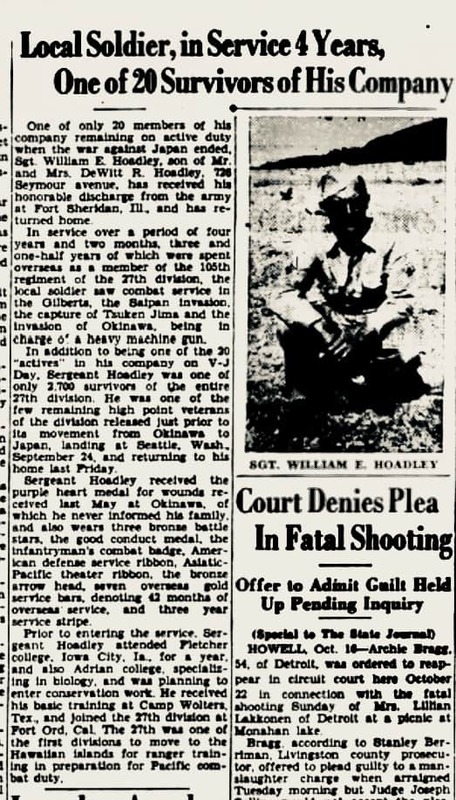 We researched another named Purple Heart and found, amongst other things, a 1945 newspaper article with the Solider's photo and an article describing his Bronze Stars and two other Purple Hearts from Saipan and Okinawa. Without this research the three Purple Hearts would have just been named medals. Now they have a story to tell. In the above cases, as in many, all we had to go on was a name. 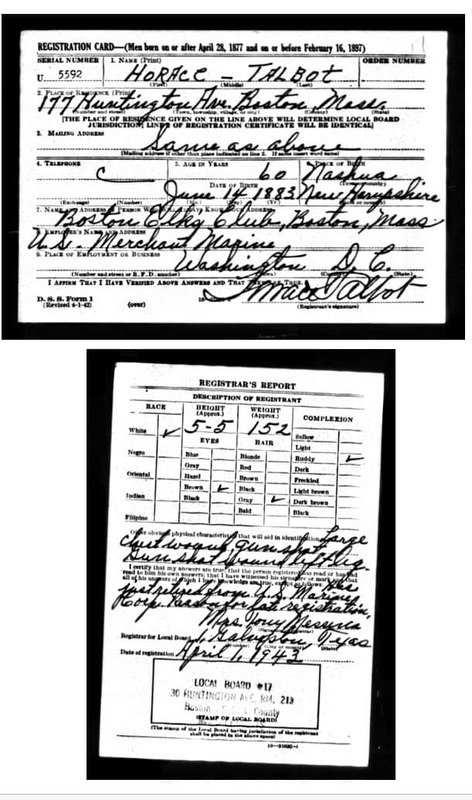 In other cases, we have been able to locate registration cards for the draft, Navy and Marine Corps unit rosters, Air Casualty Reports, pension records, newspaper articles and other historic documents that can better tell the story of the service member named on that medal, uniform, helmet etc. We offer our services at just $50.00 per half hour. In our experience, on average, we have been able to locate just about all relevant information for a single service member in this short time frame. We can also research information not available on-line to tell more of the story. This additional research sometime includes photographs and award documents. We can not guarantee we will find anything; but, in the many cases we have taken on for fellow collectors, we have always found something. Service Records of Veterans serving after 1957 are not available on line. In these cases we can find the information you seek through alternative records. They just take a bit longer. We will deliver all documents we find either by e-mail as a PDF or via the US Mail.